Next, it was time to bring my letters onto the computer. I scanned them in using my Canon MG3600 series printer/scanner combo at 300dpi, black and white. Once scanned, I brought them into Photoshop where I increased contrast for a more consistent trace in Illustrator. Once in Illustrator, I vectorized the lettering using the default image trace settings. I followed this process to clean up my vectors until I had the look I was going for for both my script and caps style. When I’m on a mac computer, I use the Glyphs font editing software to convert my lettering into a working font. When I’m on a PC, I use Font Creator. The process is a bit long and specific, which is why I made this course with videos of the exact steps I take. I program all of the relationships letters share with each other and add in extra features, like ligatures, contextual and stylistic alternates. Finally, I created my symbols font so they’re easy to access, whether you are an Adobe Illustrator user or not. Once the font was tested and finished, the fun began by creating preview images, or mock ups! This helps others see the versatility of the font and to get an idea of how the font can be used. The font really comes to life in this step and is always one of my favorites. You can see some of those images below, along with a font previewer where you can test out the font with phrases of your own! For more info about Skinny Jeans and/or to pick up your own copy, click here! Thanks so much for sharing! I haven’t made any fonts yet but one of these days I’d like to tackle that. Keep the creativity coming! Awwww. 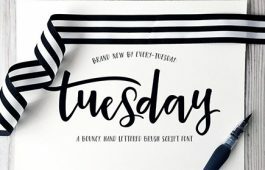 Totally LOVE this new font, Teela! So naturally flowing with universal appeal. Your mock ups send it home! And, the Skinny Jeans Symbols are a perfect complement. So creative! Can’t wait to play around with it. Thank you for sharing your process overview. 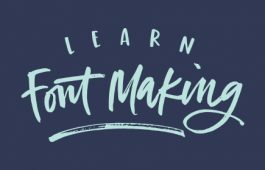 Anyone even toying with the idea of taking your full Font Making Course should jump right on it. Your lessons make it so manageable and easy. I’ve learned way beyond what I ever thought possible! 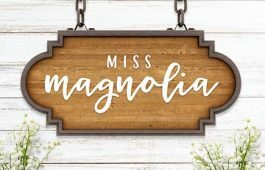 I’m dying to take your course on Font Making! I’ll have to wait for Glyphs for Windows to come out! Thank you so much for all you share with us! Yay! Excited to have you be a part of it! Glyphs is mac only, so the pc version will use a different software, but it’s coming! Thanks for sharing! 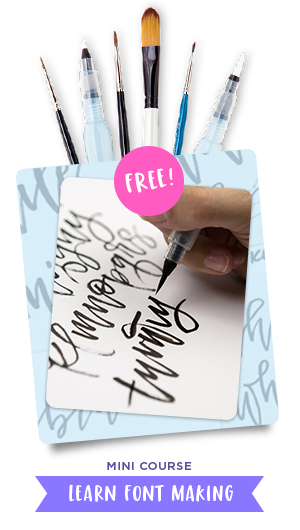 I’ve always to replicate my handwriting when it came down to writing it out ‘nicely’ in preparation for font building, so your new technique of writing out a word beginning with each letter of the alphabet is a great one! Good luck with the new font – it’s beautiful! Thank you for sharing the process! Love your new font! This new font really has a nice flow to it! There are so many styles of lettering. How do you keep them straight? And how does someone decide on which ones are best for them? WOW! This is so awesome, Teela. Love this! Congratulations on your new font! I will go purchase this now! Your attention to detail and fussiness shows in this font and ensures that it will be beautiful and classy however it is used in layouts! So excited to have this wonderful font!